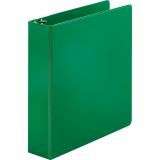 2" round ring holds 375 sheets. 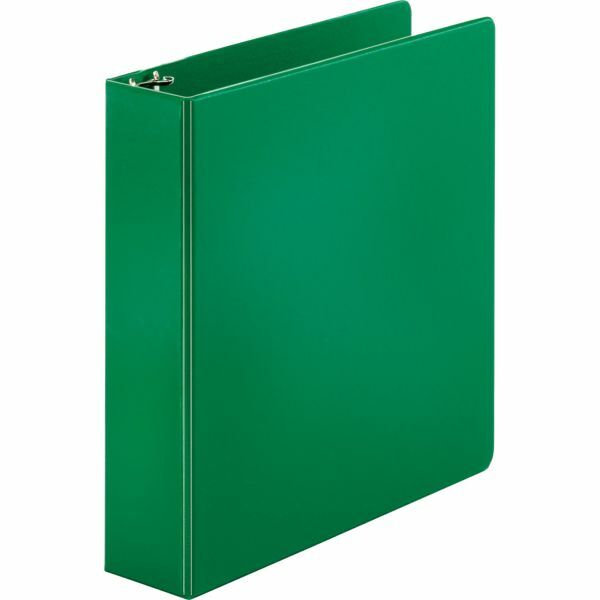 Sparco 2" 3-Ring Binder, Letter Size, Round Ring, Green - Binder offers a suede-like finish with vinyl sealed over stiff board. Pockets are inside front and back covers. 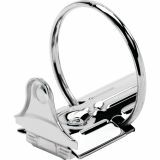 Metal three-ring has double opening/closing boosters.